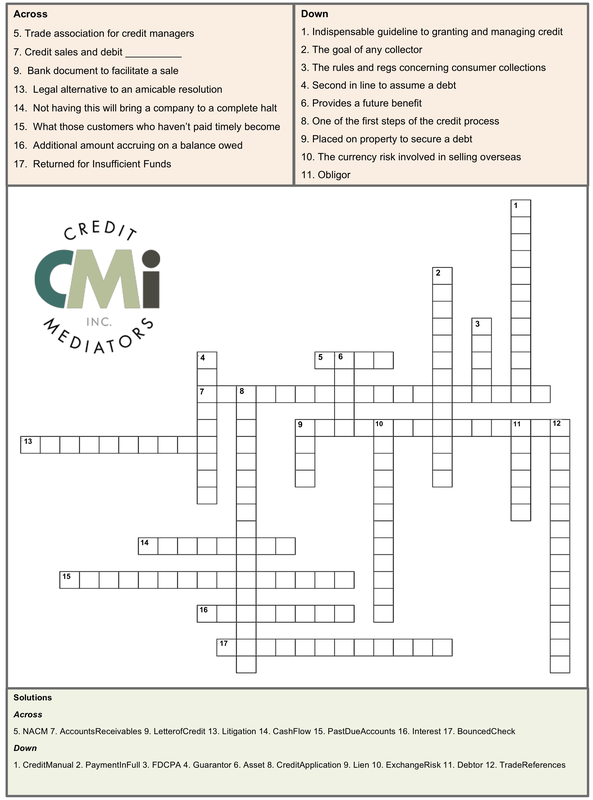 CMI's Credit & Collection Crossword Puzzle - Credit Mediators Inc. Whether you’re an industry veteran or just starting out, we know readers like you want to be challenged! Please take a few minutes and give our CMI Credit & Collections Crossword Puzzle a good old college try. We know you’ll enjoy testing your credit and collections knowledge.